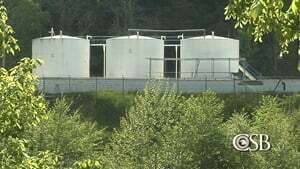 Freedom Industries' Storage Tanks (Photo courtesy of the CSB). The U.S. Chemical Safety Board (CSB) has released a revised report covering their investigation of the 2014 Freedom Industries chemical release in Charleston, West Virginia. The initial investigation report was originally released in September 2016, however the CSB has added supplemental information and made minor editorial corrections in the latest iteration.